Add a little bit of Spidey and a touch of Deadpool, take away the Y chromosomes, blend it all together, and what do you get? 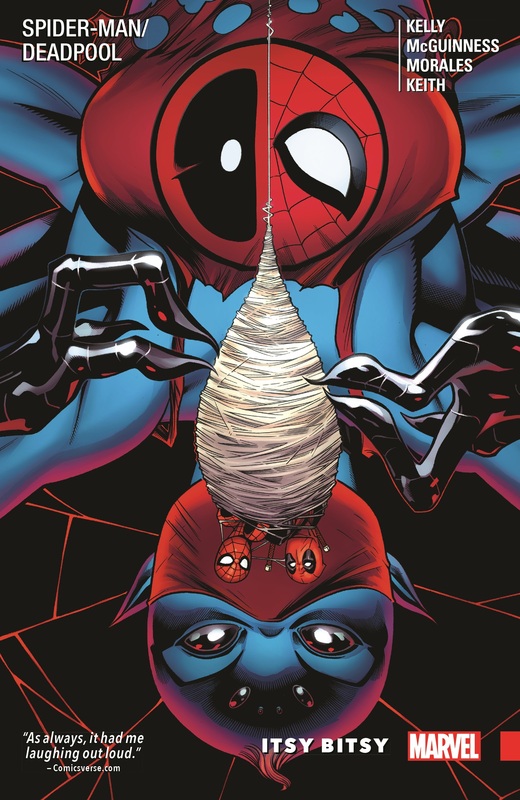 Peter Parker and Wade Wilson's worst nightmare: the murderous, mixed-up miss named Itsy Bitsy! The “daughter” of our two heroes is stronger than them, faster than them and has seriously creepy daddy issues - but what crazed mind could have conceived of her in the first place? 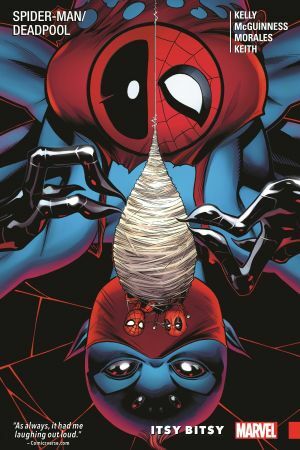 As the body count rises, Spider-Man and Deadpool must work together to take down Itsy Bitsy - and the person who's been pulling their strings from the start! But how is a trip to Weirdworld going to help wash that spider out? 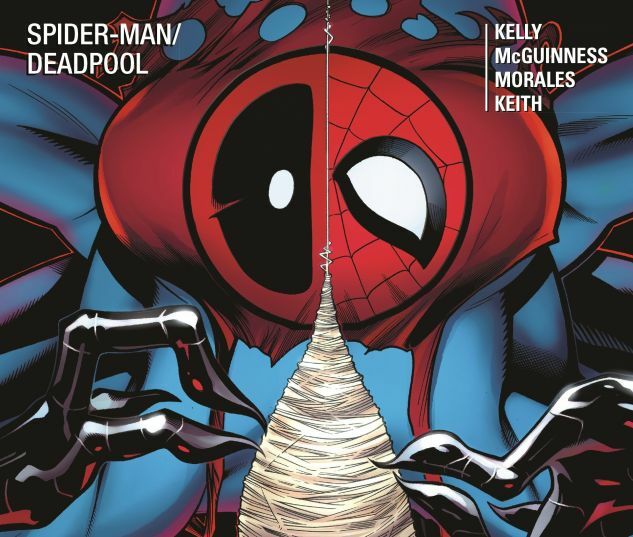 It's the most disturbing Spidey/Deadpool story yet, from the wild imaginations of Joe Kelly and Ed McGuinness! Collecting SPIDER-MAN/DEADPOOL #9-10, #13-14 and #17-18.